Colorado is known for the open space that you can find just about everywhere. That’s something that makes the state beautiful, but it’s also something that can pose a danger to you as well. Depending on where it is that you’re living, you may have been warned to keep an eye out for snakes, and while not all of them are poisonous, they are still entirely capable of puncturing your skin with their fangs. At Colorado Pest Management, we do our best to keep the Englewood and surrounding areas free from pests that could cause harm. 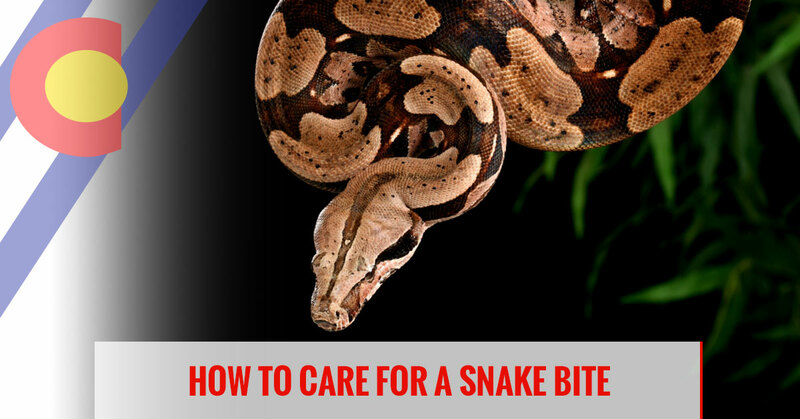 In today’s blog post, we’re going to touch on a few standard care steps that you should take if you have been bitten by a snake. This step is surely easier said than done, but it’s one of the most important steps. We totally understand that when you are bitten by a snake, the adrenaline in your body is rushing and you can get a bit frantic. If you’re helping someone that bit, do your best to calm them down and slow their breathing. When a victim panics, their heart rate will rise, and when this happens your body begins to circulate blood much faster. If the snake was poisonous, that means that your body begins to circulate venom quicker too. Even for snakes that aren’t venomous, a high heart rate can make it difficult to clean the wound up. In the case that you, or the victim you’re working with, feel that they’re able to keep moving, don’t. Restricting movement is the next step that you should take if you’ve been bitten by a snake. At this point, the wound should be assessed, and any recollection of the snake that bit you should be written down so that paramedics or a ranger can provide clarification on what to expect moving forward. At least slow down enough to complete the next few steps and prioritize the care of the wound. As with any open wound, the next thing you’re going to want to do is clean it up. Don’t immediately cover up the puncture wounds, for this can lead to infection. Gently clean the wound with antiseptic. If that’s not available, rinse it out with some water so that you can, at the very least, remove any dirt or grime that could make the wound much worse. Doing this will also decrease the chances of an infection happening down the road. Let it dry entirely before covering up and getting further medical help. Depending on the time of year that the bite happens in, something that you’re going to want to take into consideration is the temperature. If it is during one of the cooler seasons, prioritizing the temperature of the victim is a must. When the body is in shock, it can start to drop in temperature which puts all other organs at risk of failure. Whether it be a blanket, a jacket or another body when the victim’s temperature starts to drop it is absolutely necessary that you prioritize getting it back up. One of the biggest mistakes that you can make when treating a snake wound is convincing yourself that you’re fine. Regardless of how tough you are or how sound the wound may look, you should always have it checked out by a medical professional. While not always common, there are various poisonous snakes throughout the Colorado area, and their bites all look the same. Even if you feel as though you’re recovering properly and the wound is cleaning up nicely, make sure to, at the very least, visit a doctor and have them provide you with further instructions on how to care for it. 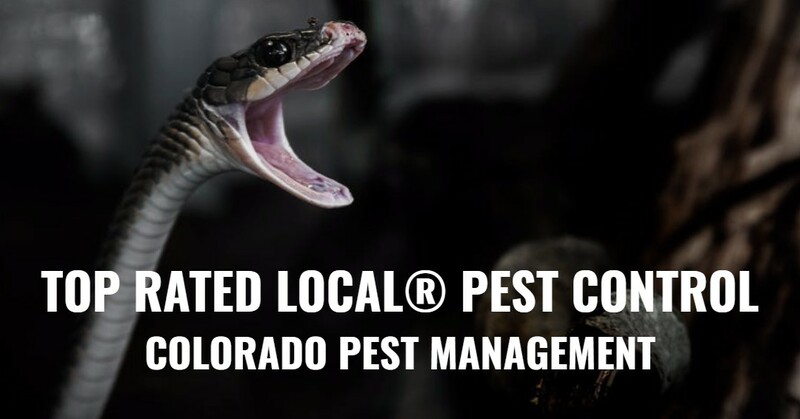 If you have noticed that you have an infestation of snakes in your yard or more than you would like to have, call Colorado Pest Management here in Englewood and we’ll set up a time to provide you with a consultation on your pest control solution. Through this process, we will determine the best method for tackling your infestation and give you an idea of what the solution would be. Call our office today and we’ll get you taken care of!